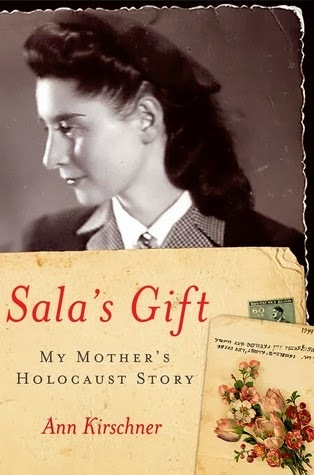 I’m currently acting in a production of the play “Letters to Sala” which is based on this book Sala’s Gift: My Mother’s Holocaust Story. We were fortunate enough to work with the playwright, Arlene Hutton, who spent many hours with the the author of Sala’s Gift, Ann Kirschner, the daughter of the titular Sala, working on writing the play. This is an amazing and inspiring story illustrating the power of the human spirit and the hope of an amazing girl, a survivor. Few family secrets have the power both to transform lives and to fill in crucial gaps in world history. But then, few families have a mother and a daughter quite like Sala and Ann Kirschner. For nearly fifty years, Sala kept a secret: She had survived five years as a slave in seven different Nazi work camps. Living in America after the war, she kept from her children any hint of her epic, inhuman odyssey. She held on to more than 350 letters, photographs, and a diary without ever mentioning them. Only in 1991, on the eve of heart surgery, did she suddenly present them to Ann and offer to answer any questions her daughter wished to ask. It was a life-changing moment for her scholar, writer, and entrepreneur daughter. We know surprisingly little about the vast network of Nazi labor camps, where imprisoned Jews built railroads and highways, churned out munitions and materiel, and otherwise supported the limitless needs of the Nazi war machine. This book gives us an insider’s account: Conditions were brutal. Death rates were high. As the war dragged on and the Nazis retreated, inmates were force-marched across hundreds of miles, or packed into cattle cars for grim journeys from one camp to another. When Sala first reported to a camp in Geppersdorf, Poland, at the age of sixteen, she thought it would be for six weeks. Five years later, she was still at a labor camp and only she and two of her sisters remained alive of an extended family of fifty. In the first years of the conflict, Sala was aided by her close friend Ala Gertner, who would later lead an uprising at Auschwitz and be executed just weeks before the liberation of that camp. Sala was also helped by other key friends. Yet above all, she survived thanks to the slender threads of support expressed in the letters of her friends and family. She kept them at great personal risk, and it is astonishing that she was able to receive as many as she did. With their heartwrenching expressions of longing, love, and hope, they offer a testament to the human spirit, an indomitable impulse even in the face of monstrosity. Sala’s Gift is a rare book, a gift from Ann to her mother, and a great gift from both women to the world.